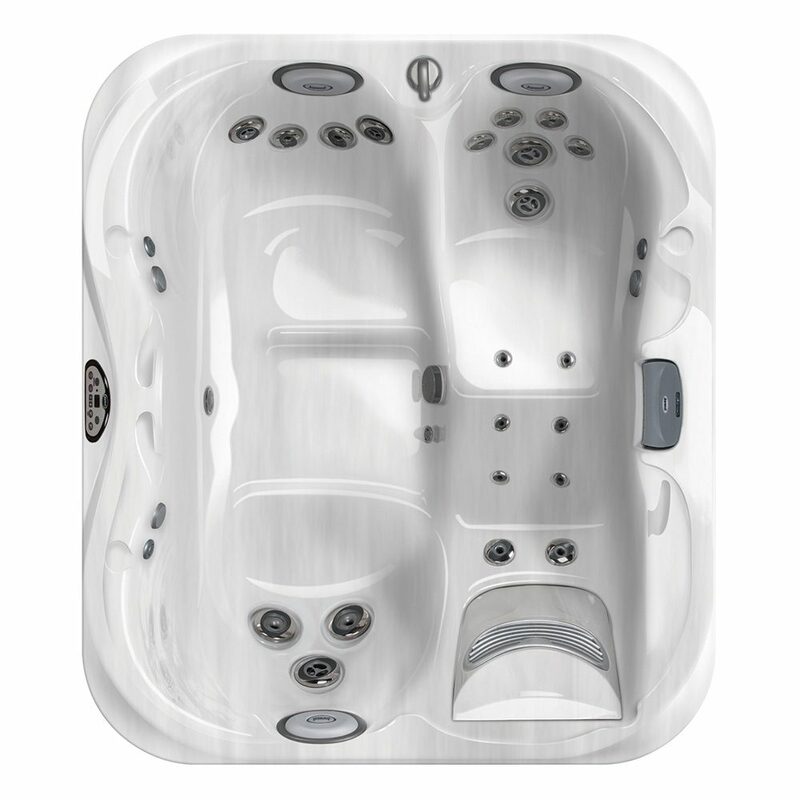 The J-315TM is a 3 person hot tub that delivers all the benefits of a large hot tub, concentrated into a small space. 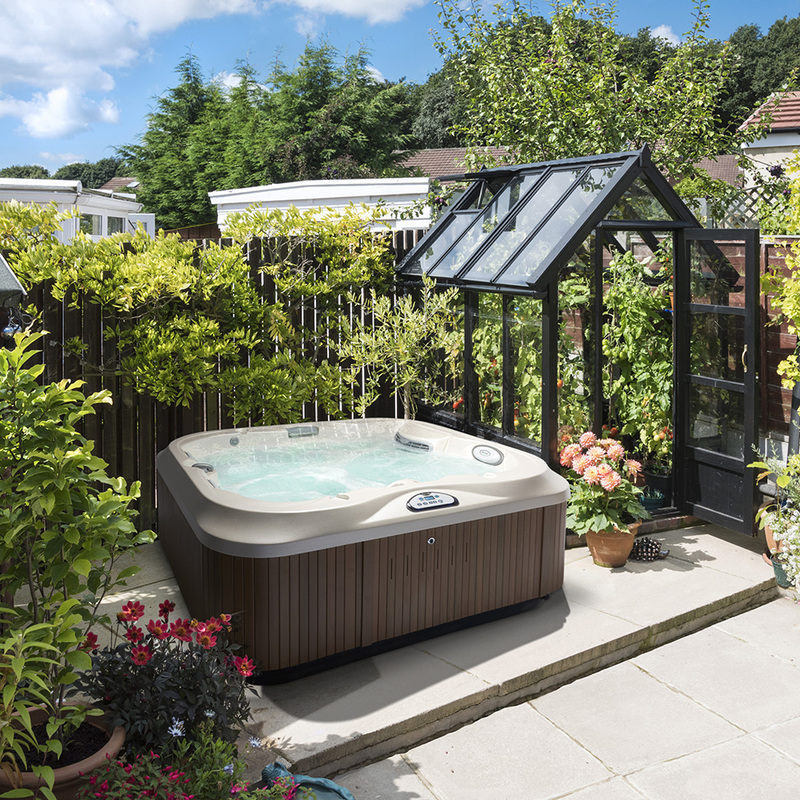 The concentrated size makes the J-315TM an ideal hot tub at homes where space is limited and is perfect for both indoor and outdoor installations. 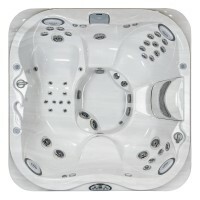 Combining 2 seats and a lounge, the J-315TM delivers a concentrated hydromassage by combining 21 PowerPro® jets each of which target a number of areas around the body for a relaxing and revitalising home spa experience. 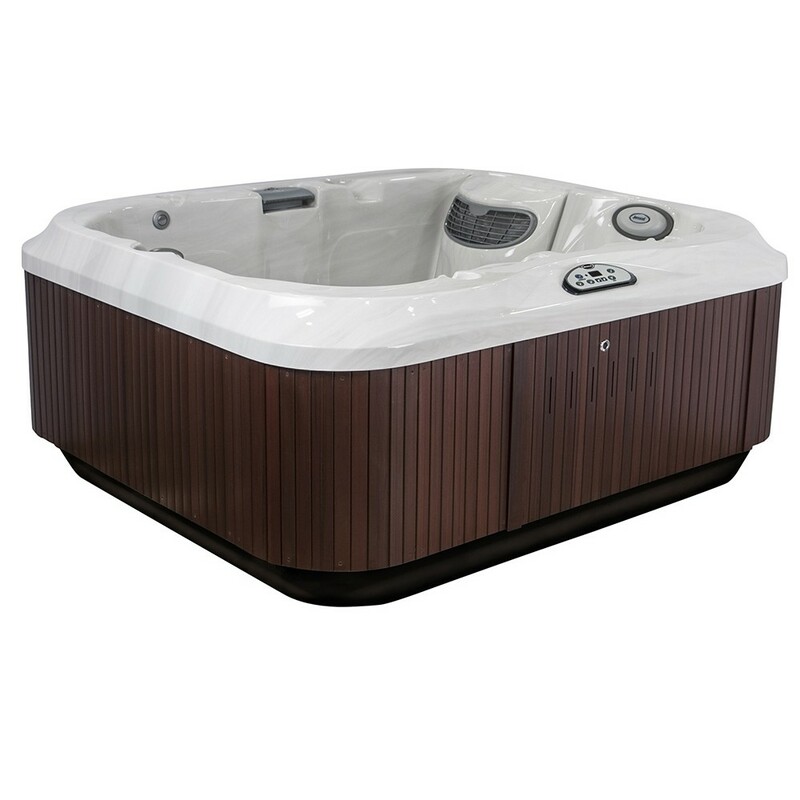 The compact size and SmartSealTM insulation ensures water is heated quickly and is energy efficient, making the J-315TM 3 person hot tub an ideal place to sink into when you get home from a long day at work or an intensive training session to relax and drift away. Combining space for 4 to 5 people with 21 PowerPro® jets which deliver a complete hydrotherapy experience the J-325TM hot tub is the perfect home spa for all the family.Despite the compact design, the J-325TM hot tub delivers intense hydrotherapy through the combination of a 2 speed pump and a circulation pump and incorporates further advanced features which provide comfort and visual enhancements to heighten your experience including 4 illuminated headrests, a waterfall and the Prolites LED lighting system.The easy to use LED control panel provides user friendly controls for your home spa experience whilst CLEARRAYTM offers a natural bacteria eliminating process to improve hygiene and SmartSealTM insulating technology helps to reduce noise and increase energy efficiency. 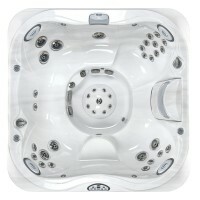 COMFORT COMPACT WITH OPEN SEATING..
With a flexible design that offers a free standing or sunken installation, the J-345TM delivers a fantastic spa bath experience no matter whether set in indoor or outdoor surroundings.The J-345TM may be considered the classic of the Jacuzzi® spa bath collection. Balanced in design and size ideal for indoor or outdoor use. The J-345TM is loaded with PowerPro® jets for advanced hydrotherapy, versatile in therapeutic seating options providing seating for between 5 and 6 people.CLEARRAYTM water purification is another advanced feature of the J-345TM and delivers a natural process to remove 99.9% of waterborne pathogens to improve hygiene and water quality.The J-345TM is a spa for relaxation, rehabilitation, and of course socialising making it perfect for sharing with your family and friends. 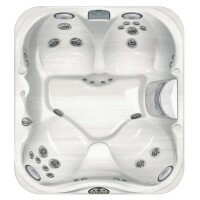 COMFORT 6-PERSON OPEN SEATING SPA..